It’s been five weeks since my last LSJ Editors Gridiron Picks victory, but I have finally returned. 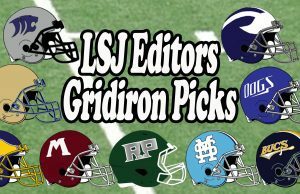 LSJ Editors Gridiron Picks Week 8: Who’s it going to be, Muskegon or Mona Shores? It looks like I’ve won the LSJ Editors Gridiron Picks competition once again, beating Nate Thompson in a tie-breaker. It’s getting to be an annual challenge for the Whitehall football team. It’s the game everybody’s been waiting for all season. LSJ Editors Gridiron Picks Week 6: Can Muskegon Heights give Crusaders a fight? I’m back, folks. I figured I would be soon. It’s getting to that point of the season when conference championships are on the line. Rivalries between neighboring schools are half the fun of high school football. They say life is filled with ups and downs. The Mona Shores and Reeths-Puffer football teams both missed the playoffs last season, and both are eager to return. Any time I try to do something, I always find I get the best results when the task doesn’t involve numbers. 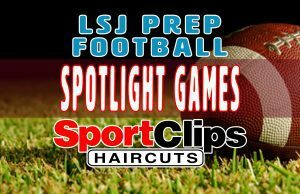 The second week of the 2017 high school football season will feature another three days of exciting action. The only thing I love as much as picking football winners is working my way through all-you-can-eat buffets. Lorenzo Rodriguez’ life story almost reads like a Disney movie.